Finding yourself locked out of your car or home can be a frustrating or even scary experience. Fortunately, Pros On Call is here to assist in the event of a lockout. We offer reliable services from local, mobile 24-hour locksmiths in Grand Prairie, TX and other surrounding locations. But lockout solutions are just a small part of what we can do for you. We offer a complete range of locksmith services in your area for your home, car, and your place of business. Call now to learn more to request immediate assistance, we do it all! Even if you need car lockout assistance at the Dallas/Fort Worth International Airport, we’ve got you covered. Let’s take a look at some examples of what we can do for you. From simple lockouts to problems with ignition cylinders and lost transponder keys, Pros On Call has you covered. We can replace lost keys, often with the aid of just your vehicle identification number (VIN). Call us and rest easy. We handle emergency calls in 30 minutes or fewer. We work on all types of vehicles including foreign models. 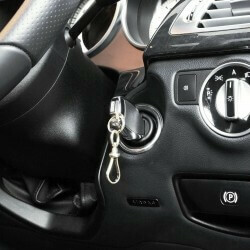 Our mobile key cutting services even include laser cut keys and car fobs. Call our automotive locksmiths day or night and great service you can depend on. We offer a variety of both emergency and contract commercial locksmith services for business. We provide a variety services for your home for emergency situations and you can schedule our services in advance. We offer all standard and specialized lock services from lock changes and rekeys to security upgrades like deadbolts and keyless entry. We install and service Grade 1 locks, profile cylinder locks, and mortise locks, just to name a few, and we work with the most reliable major brands including Yale, Kwikset, and much more. When you hire Pros On Call for all your various locksmith needs, you are working with one of the most professional and dependable locksmith companies in Texas. If you are looking for an experienced, local locksmith, look no further than Pros On Call. Our 24-hour mobile locksmith services in Grand Prairie will get you back in your car or home quickly and safely, and we offer competitive rates on all standard and specialized locksmith services for your home or business. We keep our rates competitive and affordable so you always know what it will cost to get you back into your car or home. Do not risk personal injury or damage your property in an effort to save money. You are likely to incur much larger expenses should something go wrong in your attempt to regain entry. Our goal is to keep you safe and secure and do it in a way that doesn’t upend your personal budget. Call us and get professional locksmith assistance. 24-Hour Locksmiths in Grand Prairie TX https://prosoncall.com/texas-locksmith/dallas-fort-worth/grand-prairie/ 4.0/5 based upon 7 reviews.